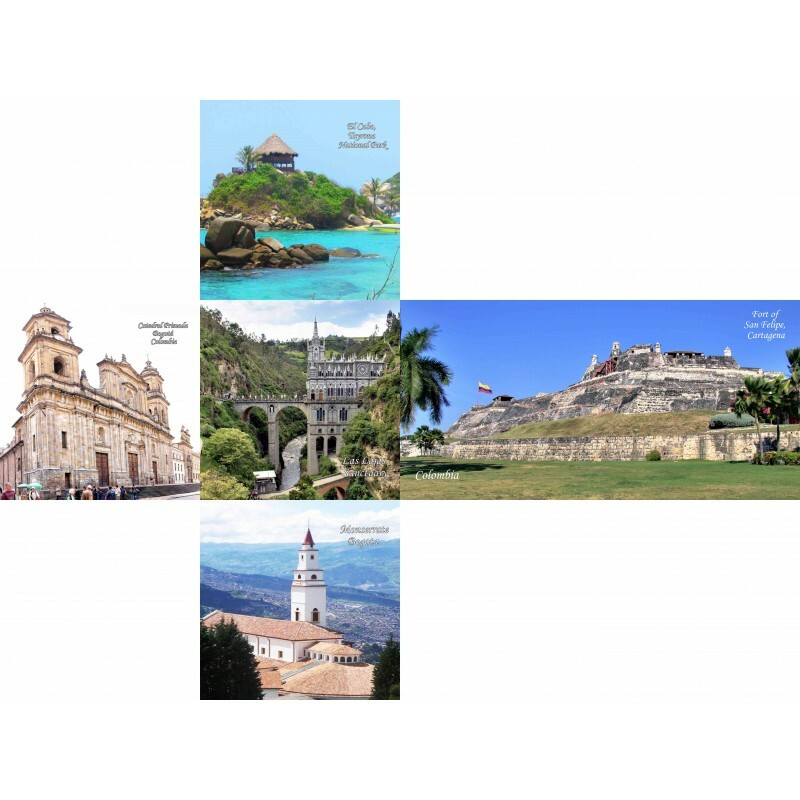 Colombia is situated in the northwest of South America bordered by Panama, Venezuela and Brazil, Ecuador and Peru. The territory was originally inhabited by indigenous peoples before the arrival of the Spanish in 1499 who conquered the land creating the Viceroyalty of New Granada. The name "Colombia" is derived from the last name of Christopher Columbus. Ecologically, Colombia is considered one of the world’s 17 megadiverse countries. 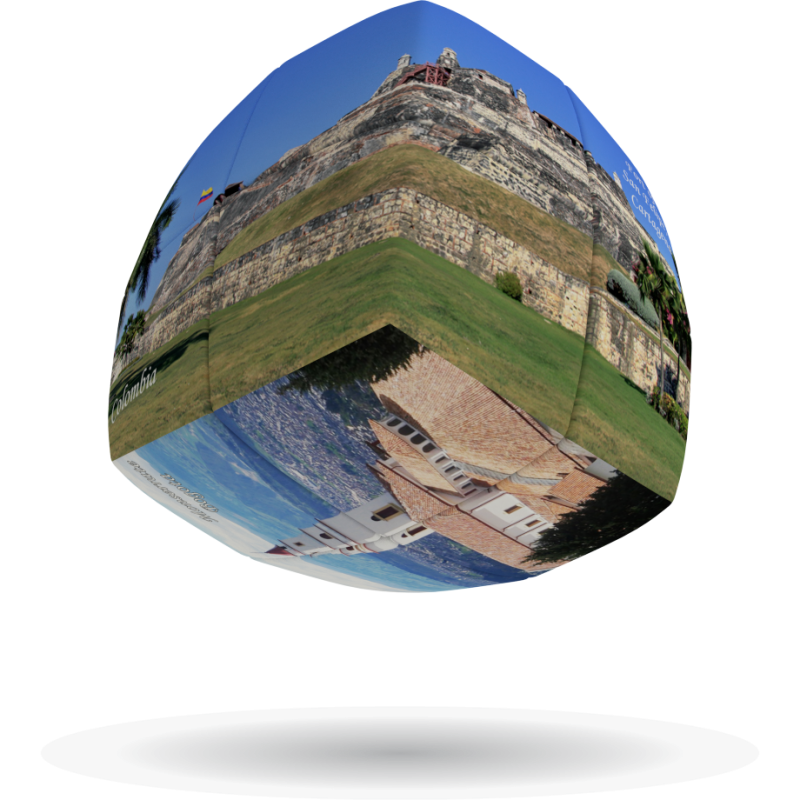 Colombian cultural heritage includes indigenous, European, Indian and African influences. The country's colonial buildings reflect their Spanish origin, as seen in the traditional single-story houses with central patio and rural haciendas. 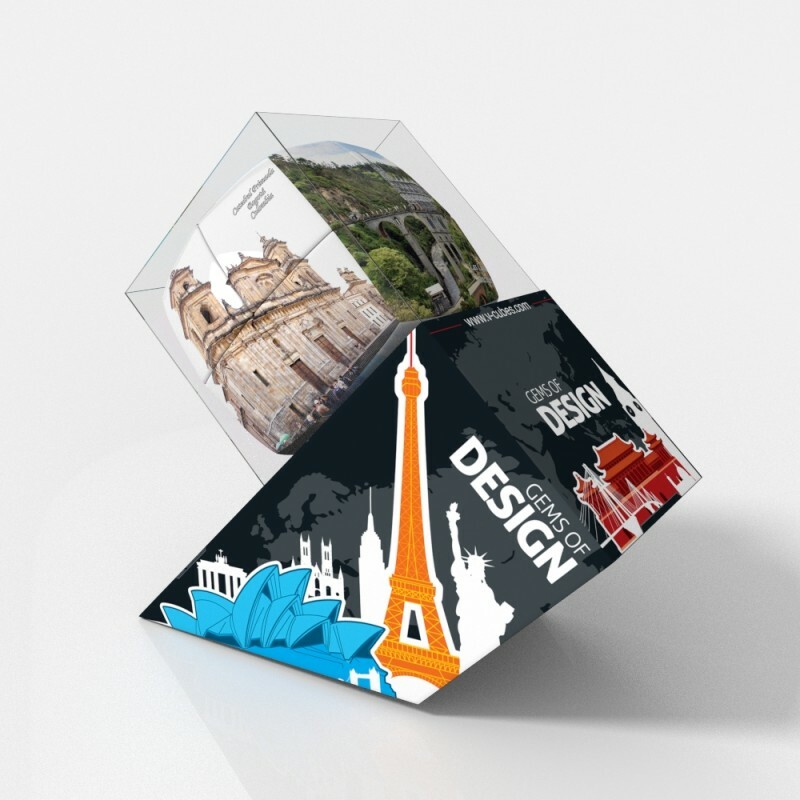 Its modern architecture represents diverse International Style architecture. Among the many churches is the famed La Lajas Sanctuary, located near Ipiales and built inside the canyon of the Guaitara River. El Santuario de las Lajas is a neo-Gothic church (cathedral) which was built on the bridge spanning the river gorge between 1916-1944. It is positioned so the gorge cliff with the image of the Virgin forms the back wall of the church. The church was built to commemorate the appearance of the Virgin which, according to legend, appeared on an enormous vertical rock 45m above the river. 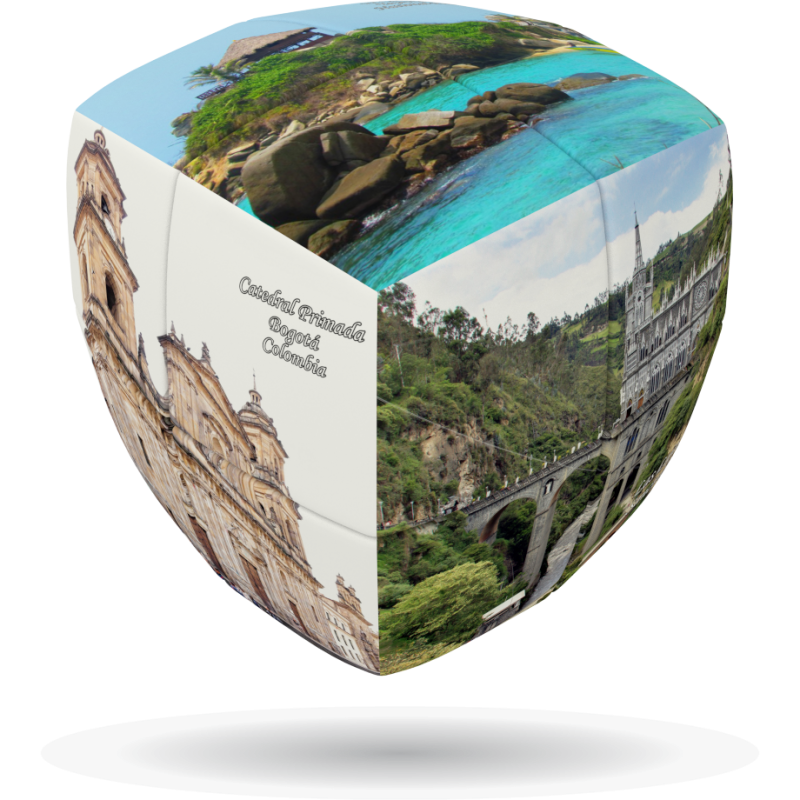 Experience the natural beauty and architectural wonders of Colombia while you enjoy the intellectual challenge of the cleVer Cube, finest quality rotational puzzle.